Phil Spink guides you through the televised Super League Round 3 games as well as Friday's World Club Challenge in Melbourne..
"Leeds are the team who up their game for the big occasion time and time again.."
Siding with the teams getting the start on the handicap was the way to go in Round Two, with Hull KR and the Catalans Dragons rewarding their backers with improved showings in defeat against Leeds and St Helens respectively. Rovers more than held their own against the Champions for large periods at Elland Road and they can hopefully build on that display with a first win of the season back at the KCOM. James Greenwood and Andrew Heffernan miss out for the home side but veteran forward Danny Tickle looks set to make his debut for the Robins and he'll be a useful addition judged on his performances for Leigh last season. The Dragons are without the influential Michael McIlorum and their hunt for a first win is likely to continue. There is plenty of history between coaches Tim Sheens and Steve McNamara and the Australian can get one over on his old rival once again. Back Hull KR on the handicap. Leeds Rhinos can weather the storm Down Under on Friday morning. The World Club Challenge returns to Australia as Melbourne Storm reportedly refused to travel to the UK, but their apparent disregard for the competition certainly doesn't reflect in Craig Bellamy's squad selection with the Storm's strongest thirteen expected to start at AAMI Park. In Captain Cameron Smith and Billy Slater Melbourne have two of the best players in the world and despite their season not starting for another month this will be an enormous test for the Rhinos. Leeds will need to step up markedly on last week's performance against Hull KR, but are the team who up their game for the big occasion time and time again no matter what has gone on before. It is 9/1 that Leeds, who hope to have stand-off Joel Moon back, can regain the trophy they last won in 2012, and while that looks a bridge too far, they can certainly stay within the handicap getting a start of 22 if handling the conditions. Warrington and new coach Steve Price have had a nightmare start to the season and things could get even worse with Friday's Derby trip to the Widnes Vikings. An opening day defeat at home to Leeds was followed by a sloppy display at a wet Huddersfield, an early converted try from Tom Lineham all they had to show for their efforts as they slumped to 20-6 loss. 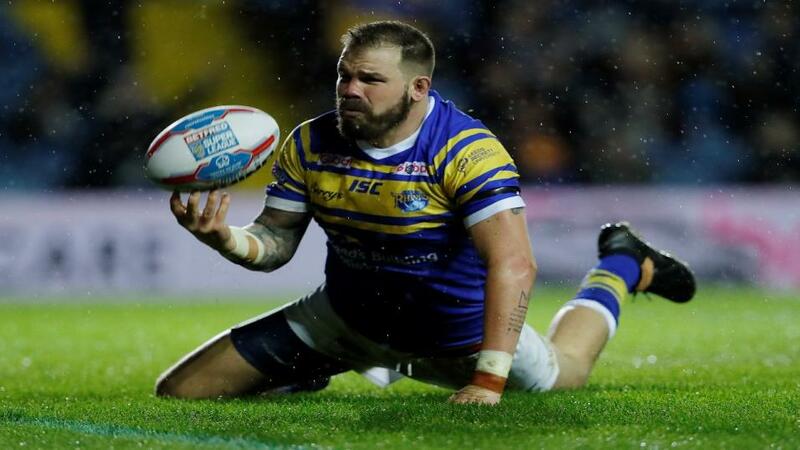 It's a case of déjà vu for Wire fans after their shocking start last season when it took them until April 7th and Round 8 to register their first win in Super League. Widnes were very slow out of the blocks themselves twelve months ago but have fared much better this time around, thumping Catalans 40-12 first time up before going down narrowly to Castleford on Sunday. They battled right to the end there and were unlucky not to come away with anything after such a determined performance. Aaron Heremaia is back for the home side, but Warrington will have to do without their Marquee signing Tyrone Roberts for the second game in a row. A four start for the home side looks generous and they can add to Warrington's woes.